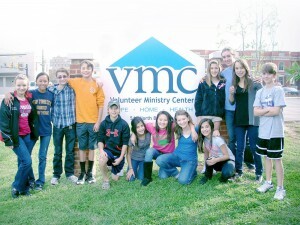 All Episcopal School of Knoxville classes participate in community service projects. By emphasizing the responsibilities we have as citizens and members of God’s created world, we hope that every child will serve people in need and find a deep sense of purpose through compassionate ministry. Through ESK’s service-based learning curriculum, we help students identify their talents for service and encourage them to be involved in a variety of community service projects, both local and worldwide in scope. Our service projects range from serving meals to the homeless, to collecting toys for disadvantaged children. We emphasize student service over projects that require collecting funds. We encourage parents to participate by supporting their child, but families should not feel obligated to take part in all projects. We hope you will support those events or programs that are most meaningful to you and your family.